Currently, there is an enduring research on biofuel into finding more and more applicable crops to enhance oil output. In order to substitute fossil fuel usage entirely, huge volume of land and fresh water would be necessary to manufacture ample amount of oil. 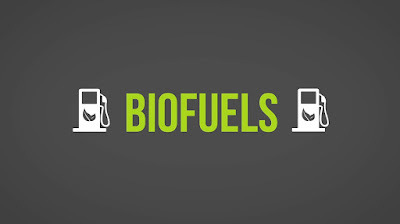 Research on biofuel at present focuses on producing reasonably high oil yields. Specially bred mustard varieties are found to produce high oil yields, which are very useful in crop rotation with cereals. Biofuel may be considered as potential replacement to conventional fossil fuels as they are renewable, nontoxic, environmentally safe and biodegradable. Biodiesel can be used in its pure form or blended in any proportion with diesel to create a biodiesel blend. Vegetable oils have to undergo the process of transesterification. Biodiesel has comparable similar physical properties and emission characteristics as that of diesel fuels like energy density, cetane number, heat of vaporization and stoichiometric air/fuel ratio. Therefore, biodiesel fuel becomes a strong candidate to replace the fossil fuel and a superior biodiesel has to fulfill the environmental and energy security needs without sacrificing operating performance (engine). Fungi with single-cells have been used as biofuel research by a team in Moscow, who stated that they had dissociated large amounts of lipids from these fungi in an economically efficient manner. Few more research on biofuel using these fungal species is going on at present.Some researchers recently have successfully produced biofuel from oil recovered from used coffee grounds. After extracting the oil, it underwent conventional processing into biodiesel. The estimated cost of producing biodiesel following this method could be for about one US dollar per gallon. Join and share knowledge on biofuels at “9th Annual Congress and Expo on Biofuels and Bioenergy” to be held in Dubai, UAE on April 16-17, 2018.